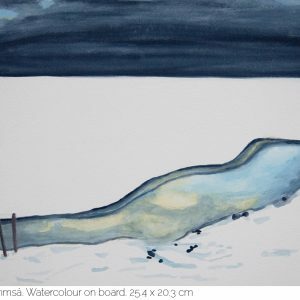 Ciara O'Hara | Rainbow Mountain II, watercolour on board. 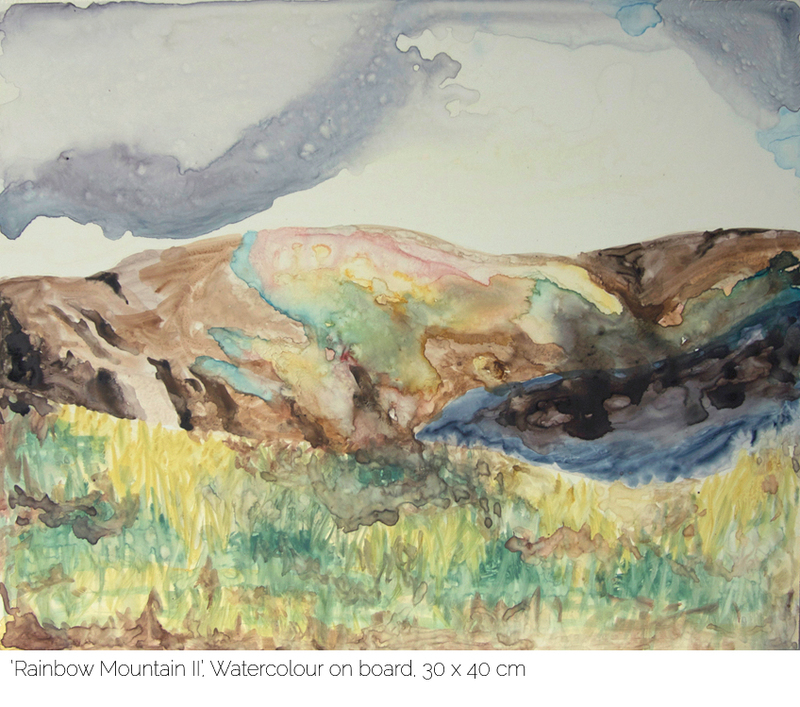 Home / Painting / Rainbow Mountain II, watercolour on board. This painting was inspired by a trip to Vi∂ey island off the coast of Reykjavik in Iceland. The low September light mixed with the mist caused a rainbow to appear on the surface of the mountain. This is an original painting, using watercolour on an board. The board has a depth of 1cm and is unframed.